"Is this the end of Christianity in the Middle East?" When a respected Christian communicator read the question posed by the New York Times, he chose to travel to Jordan and Iraq in search of answers. What he discovered left him amazed and inspired. While the news coverage of ISIS focuses on the horrors wrought by this group, there is another side to the story that rarely gets told. While terror is on the rise, Muslims are coming to faith in Jesus like never before. 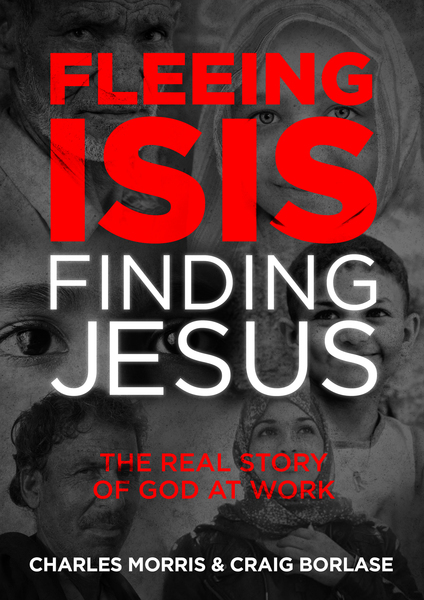 Charles Morris regularly reminds the 500,000 listeners of his Haven Today radio show that "it's all about Jesus," and through his new book--Fleeing Isis, Finding Jesus--he offers a unique, compelling account of the miraculous ways in which Jesus is transforming lives in the Middle East today. As Charles narrates his travels around the region, he shares with readers not just the good news of how Jesus is at work, but he also invites us to wonder how our own lives might be transformed as a result.